Posted July 18, 2013 by Rory & filed under performance development, performance support. No, this is not another post on the benefits of gamification or gaming as a training tool. Plenty of others have covered or are covering those topics. I’m taking a different look at this. If you’ve played any new video games recently, console or mobile, you’ve likely experienced a lot of training. Especially if the game has new or different mechanics and methods of play. While I have been a console gamer since I was a kid setting in the basement playing Space Invaders on our Atari 2600, I never noticed the training methods used in video games until I started playing mobile games on my Droid 2 a few years ago. Mobile presented an exciting opportunity for game developers. It also presented a challenge with no or limited standard controls. That means no sticks to control aiming a weapon or steering a car, and no trigger for firing that weapon or accelerating the car. The solutions they have designed for those limitations are amazing, and in the best designed games are ultimately fairly intuitive. Equally impressive are their methods for training and supporting you in learning the game mechanics. 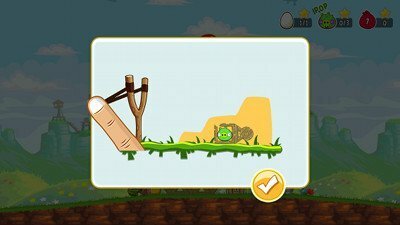 Angry Birds was the first game I downloaded on my Droid 2 several years ago. They do a fantastic job of teaching you in game how to use the abilities of each bird. 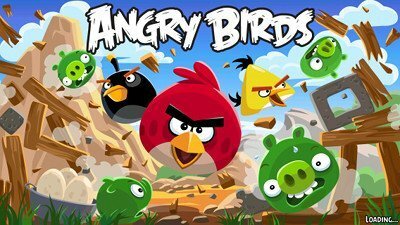 From the first launch of a bird in the original Angry Birds to showing you how to use the Millennium Falcon in Angry Birds Star Wars, anytime something new is introduced the game gives you a quick demo. Cut the Rope does something similar. 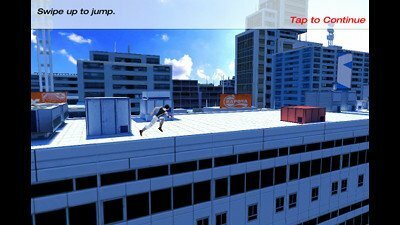 Mirrors Edge takes a different approach. The training occurs right in the flow of the game. Once you start running, the game automatically pauses at certain points to give you brief instruction and tips. The Little Big Planet series on the Playstation 3 does a combination of things. There are introductions, demos, and optional levels outside of the normal flow that let you practice and develop your skills. My question is why game developers can build this into their games (and do it well), and at best, software developers provide some type of help function that requires you to know you need help and then forces you to search for it. I recognize that games have a much more narrow feature set than the majority of the systems and applications used in the corporate world. Yet, can’t help thinking there is something to be learned from how game developers introduce you to a game. How do we make the learning and application experience as seamless as it is in games? There are performance support tools that are very quickly maturing to meet this need; however, these tools can only take us so far. These tools give us the ability to develop very discrete task specific pieces of content. However, I think there is another opportunity here. The game examples I shared limit the player’s ability to continue until some level of proficiency is demonstrated. We can achieve it in training simulations, but those are still removed from the true moment of application. Imagine if we could do that with a live system. What might that look like? How would it change the way we deliver training? I don’t have an easy or clear answer to this question. From a software development perspective I can see it being very difficult, most systems are not pure vanilla by the time a client finishes with implementation. There are many customizations and unique business requirements. Imagine the possibilities if an application worked hand in hand with the performance support tool. Maybe the developer provides an API that performance support tools can take advantage of to define those critical training and support points. What do you think? Am I way off base with this idea (don’t be afraid to tell me, I can take it)? What might this look like? I’m going to keep pondering this, you let me know what you think in the comments. I am intrigued by the idea that this type of instruction/learning could (should?) be built into the software…It seems like generation II of electronic performance support and a natural evolution of this type of tool. Perhaps we, the customers, need to generate the demand before the software producers will respond to the need. Problem is…we have to convince our internal audiences that this is really “learning” and that self discovery is one of the most powerful learning methods. Keep pondering Rory, I’m anxious to hear what else you have to say. Thanks for reading and commenting Rose. I absolutely agree that our internal audiences are a crucial part of the puzzle. © 2019 It's About Performance.